Download our laundry symbols guide today. Our customers come to Spot (which has been around since 1991) because we offer them a clean, friendly place to do their laundry. 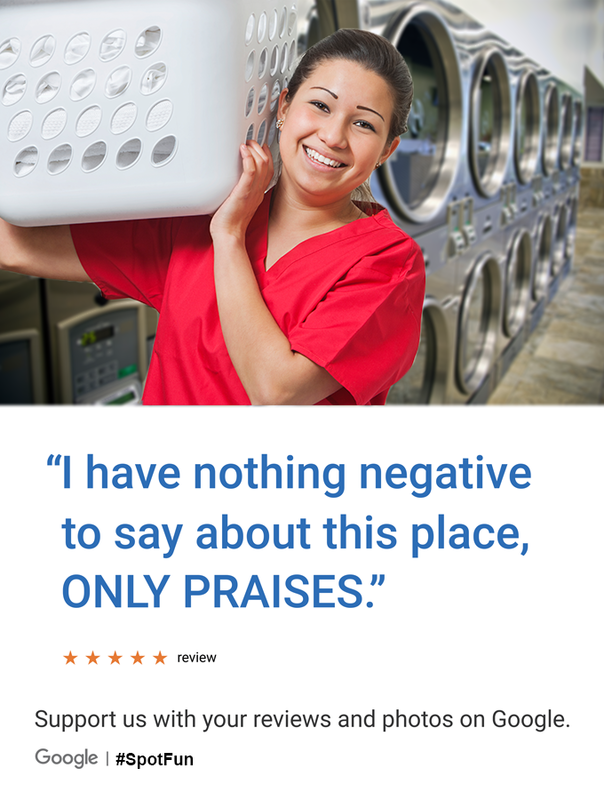 We are the area’s leading laundromat. Now serving customers in seven laundromat locations. With coin and card operated laundromats throughout Maryland, and West Virginia. This family-owned business has over 50 years of experience in the world of laundry. Dedicated to providing you with a customer friendly experience. Each of our seven locations offers you the industry’s leading brands of energy-efficient equipment. This equipment assures you the best quality wash and the fastest drying times on each and every load. Our laundromats give you a wide variety of machine capacities to wash both small and large loads. Washing things like, comforters, dog beds, horse blankets and more has never been easier. And in case you were wondering, the dog’s name is Spot and he is our mascot. Look for him at the laundromats you attend and on our vehicles. Customers who come to Spot enjoy clean, air-conditioned facilities with ample parking. Because each location is unique we encourage you to try them all till you find the one that meets your every need. Folding areas, laundry carts, vending machines, free wifi, and televisions are just some of the amenities that set us apart. Whether you prefer the tried and tested coin-operated laundry equipment, or the innovative use of a card laundromat we guarantee that there is a Spot location for you! Spot Laundromats understands that your time is so important. That’s why it’s our goal to get you in and out as quickly as possible. We have installed the best quality, high-speed extraction washers. These washers have the ability to remove more water from each load of laundry requiring less time and money in the drying process. 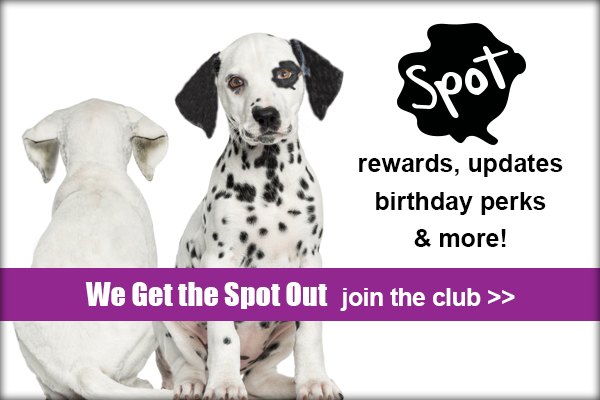 And, check out our new Blog to get more tips on how to get a better wash from Spot. If you don’t even have time to do your own laundry find out all About Spot Laundromats full-service options right here, by calling or by stopping by to say, Hi. Our Spot Laundromat attendants will wash, dry and fold to your specifications, and you can either drop off your laundry or we will pick it up. The options are endless! We encourage you to give it a try! Spot Laundromat’s team of laundromat attendants are here to serve you. We care about the customers and endeavor to make your visit a pleasant one every time. 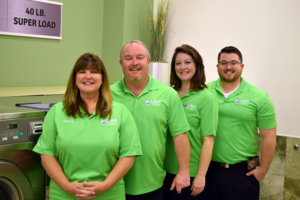 If you have any questions when visiting one of our attended laundromats our staff is there with a smile to help in any way possible. Because we are privately owned our attendants are trained by experts with years of experience. Whether you do laundry yourself or try one of our services our goal is to make you smile! We are always looking for eager, pleasant hard-working people to join our team. If you think that it would please you to provide our customers with top quality service then click here to fill out an application or simply stop by.